Keith Hohly, Chairman of Heartland Men’s Chorus’s Board of Directors, announced Tuesday that Shawn Cullen, Director of HMC’s community engagement ensemble, Burnt Ends, would assume the role of Interim Artistic Director upon the close of the 2018-2019 Season. Hohly said, “Shawn has been such a fantastic resource to the Chorus over the last two years since he joined us. He was the logical choice to continue our mission of changing lives through music.” A national search will commence next fall for a permanent Artistic Director to begin in HMC’s 35th season in 2020. As an educator, conductor and artistic director, Shawn Cullen has earned a reputation for his dedication to musical excellence and striving to make a difference within the communities in which he belongs. During his 8-year tenure as Artistic Director/Conductor with Reveille Men’s Chorus in Tuscon, Arizona, Cullen worked to inspire growth in membership and audiences alike while striving to produce musically excellent, mission-based programming with humor and heart. Mr. Cullen conducted Reveille in 16 local productions, numerous community OUTreach performances, two quadrennial GALA (Gay and Lesbian Association) Chorus festivals and travelled internationally to perform with the Puerto Vallarta Gay Men’s Chorus. Mr. Cullen also led Reveille to make their debut performance with the Tucson Symphony Orchestra in 2013 for “Broadway Rocks!” as the first LGBTQ chorus to perform with a professional symphony orchestra in the state of Arizona. He joined Desert Voices Chorus as Artistic Director/ Conductor in 2013 helping to develop it’s new mission of “Fostering Community through Song,” making him one of the few conductors nationally to serve in artistic leadership for two GALA (Gay and Lesbian Association) Choruses simultaneously. 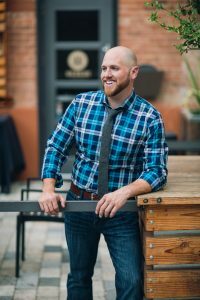 In January 2017 Mr. Cullen accepted a three-year term as a national Board of Director for GALA Choruses helping to lead the North American LGBTQ and LGBTQ-allied choral movement and was the 2017 Fine Arts Teacher of the Year for Tucson Unified Schools and the 2018 RMC Community Leadership award recipient. Cullen joined the artistic team of Heartland Men’s Chorus in Kansas City in 2017. In the education world, Cullen has held positions as an award-winning director of bands & choral music, performing arts mentor teacher and professional development coordinator in the Tucson Unified School District, Adjunct Faculty in University of Arizona’s Fred Fox School of Music, University of Missouri-Kansas City Conservatory of Music and Dance, as well as the UMKC School of Education. Recognized for his skills as a versatile and collaborative musician, Cullen served as principal conductor for the Arizona Repertory Theater (2011-2017), housed within the University of Arizona’s School of Theater, Film and Television with nine production credits including “Into the Woods”, “Avenue Q”, “The Full Monty”, and “EVITA”. Cullen is currently an Interdisciplinary Ph.D. Teaching Fellow in Music Education and Curriculum & Instruction at the UMKC Conservatory of Music and Dance. His current research includes academic success for music students, conducting pedagogy, and the training of future music educators. Most recently his research was selected for presentation at the Desert Skies International Symposium of Research in Music Education. He holds a Bachelor’s of Music Education and a Master’s of Music in Conducting from the University of Arizona and is a member of the American Choral Director’s Association, the National Association for Music Education and serves on the national board of directors for GALA Choruses. Visit www.hmckc.org for more information about Heartland Men’s Chorus’ 2018-2019 season. High-resolution photos of Shawn Cullen can be obtained by emailing hmc@hmckc.org.